What's Better than a Snow Day??? A funny social media post recently declared January to be the longest year ever, and it seemed so fitting for what we all just experienced. There's always something special and timeless as the moment students find out their school has been closed due to weather - and this week certainly helped cement that memory for everyone! Naturally, a tiny voice inside realizes we will have to "make up" those days at the end of the calendar year (which, for 9th - 11th graders, we do!) but then the louder voice inside us all just rejoices in these days to catch up on sleep, homework, binge-watching shows, or Fortnite gaming! It's that elusive gift of TIME given back that we were not expecting. But in all seriousness...we take our students' and staff's safety very seriously, and are grateful that everyone was able to return to us today as we re-opened. Also, we are blessed that our facilities and transportation were fully functional. A special shout-out to our MC Facilities team for making sure our building was warm, the lots cleared, and our walk-ways safely salted! Also - for those who ride the Durham buses - please know that all throughout this severe cold-snap, their dedicated employees were starting up their vehicles every 2-4 hours round-the-clock for the past 72 hours to make sure our children had safe, reliable rides to and from school. For those who ride, drivers Larry, Joel, and Jill are truly an extension of the Marian family and we count ourselves blessed for their dedication to our students! As the weather takes yet ANOTHER turn this weekend ("warm" and rainy?!) - we hope that you consider the care and devotion we have for our students to be a constant in your lives! We will have a more detailed calendar published soon for everyone! It's been a while since we've had to use the "full extension" with our calendar! 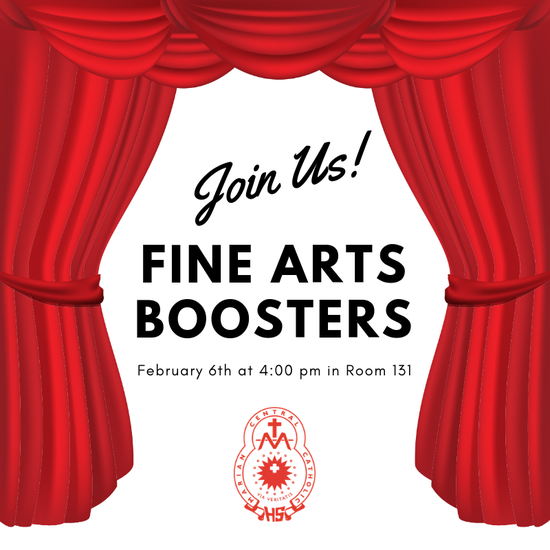 4:00 pm: Fine Arts Boosters Meeting in Room 131 - All Welcome! 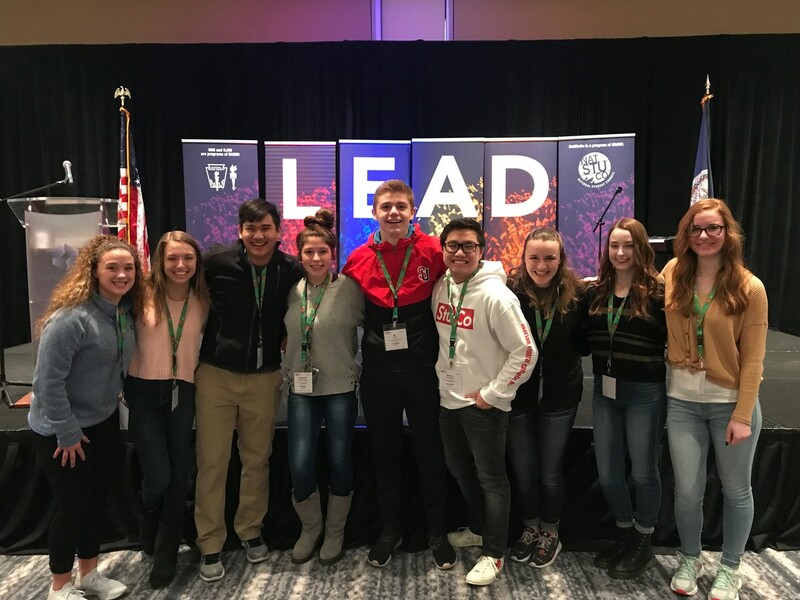 MC Student-Leaders Presenting at the NATIONAL LEAD CONFERENCE in D.C. This Weekend! We are hosting a Senior Breakfast Planning Meeting on MONDAY, February 4th at 7:00 pm in the ANNEX. Please consider joining us as we brainstorm themes and ideas for this celebration! BLOOD DRIVE on TUESDAY FEB. 5th NEEDS YOU! Due to the recent "Polar Vortex" experienced, our local blood banks have experienced their own FREEZE in donations! (See what we did there?) This is, quite literally, a way to help others by simply having a PULSE! 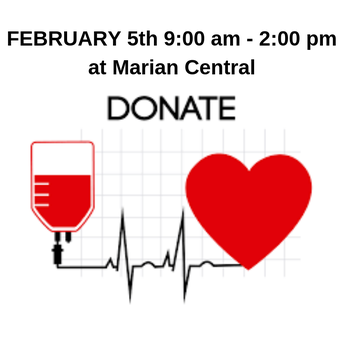 We are calling on all eligible students AND PARENTS to consider signing up to donate blood this TUESDAY, FEBRUARY 5th between 9am and 2:00 pm here at Marian Central! To best serve the amazing donors, we do require that you sign up for a time-slot. That way, we can take care of you and get you on your way quickly! Sign up takes mere SECONDS - donation may take about 20-30 minutes of your time - but the impact you will have on lives is PRICELESS and can actually give someone a LIFETIME of possibilities! 2019 Dinner Auction: CASINO NIGHT! 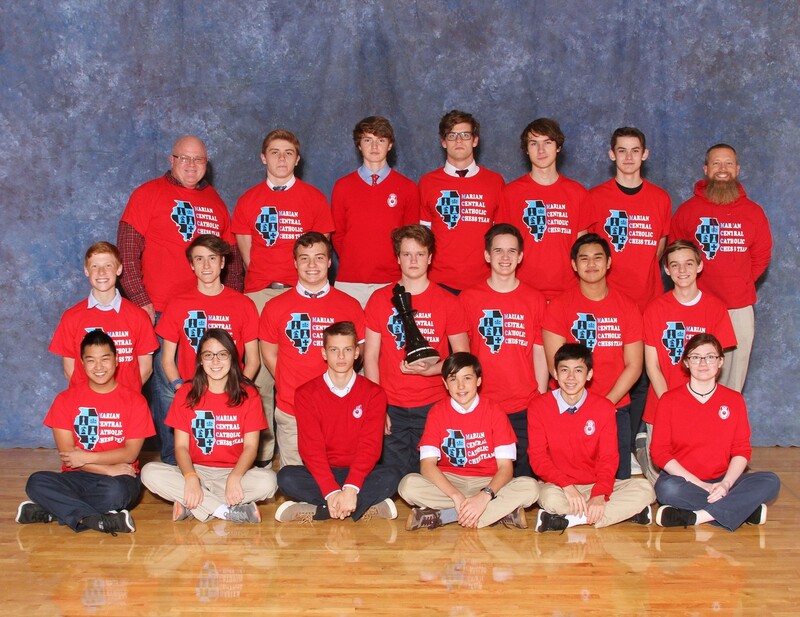 Congratulations to our IHSA Chess Team as they head to STATE this FRIDAY! 19-20 Registration Early-Bird $ DUE FEB 15th! CLICK HERE for information regarding 19-20 Tuition and Registration Fees, including deadlines! 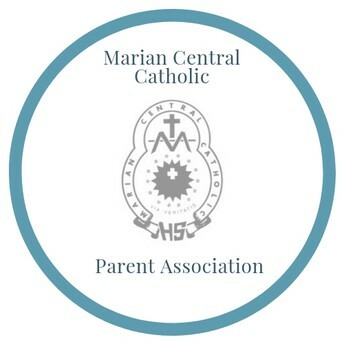 We are looking to the FUTURE of the MC Parent Association in the coming months! As our own children graduate, we too "graduate" from being able to serve the school and wonderful faculty that have been so instrumental in this journey. Please consider joining us and keeping this crucial organization vibrant with fresh ideas and talent! Our parent-leadership team has taken great care to make sure that the next generation of Parent Association leaders has all the support and resources possible to make sure our students and teachers are taken care of! We can't do this without you - and we would love to see you at our next Parent Association meeting planned for February 13th at 7:00 pm in the Annex. Even if you don't know how much time you can commit to supporting Marian Central - please consider coming to this meeting to learn more, and you will find that even just a few hours can have such a meaningful impact on our school culture! 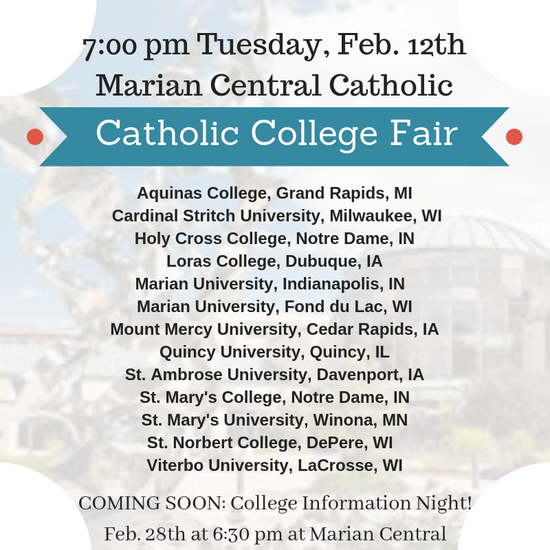 Any questions - please don't hesitate to contact our MCCPA President, Mrs. Lori Lee at ll524@comcast.net.